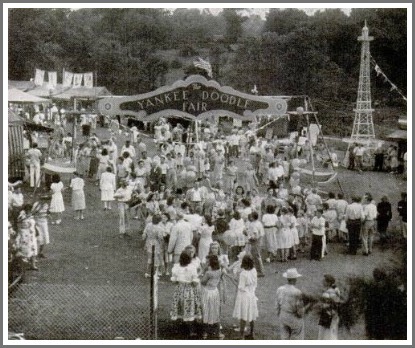 This entry was posted in Beach, Children, Organizations, Westport life and tagged Life Magazine, Westport Woman's Club, Yankee Doodle Fair. Bookmark the permalink. In defense of Life Magazine: during a certain era, it provided wonderful photo journalism that just wasn’t replicated anywhere else. I still have a couple of vintage issues from my childhood (which will probably come as no surprise to Margaret H); and the issue featuring the first U.S. spacewalk on the cover—with a number of spectacular color photos—was eye-opening at the time (and it still brings back incredible memories). But the magazine, if I recall correctly, was not solely about major news stories. 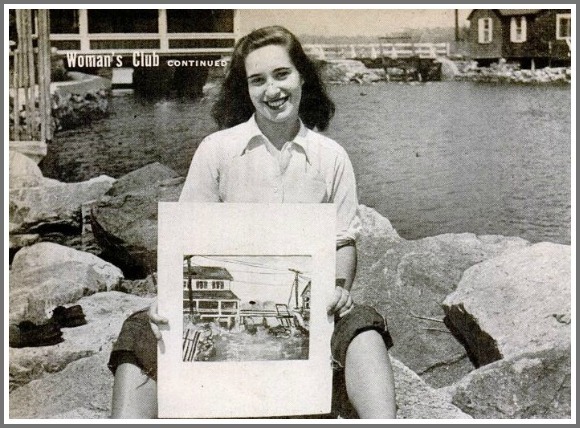 There would be Americana slice-of-life (no pun intended) stories as well—and the efforts of the Westport Woman’s Club seem to have fit the bill for that. Finally, was Ann Jones active here for many years as a local artist? Her name sounds familiar from back in the day. Yes, still going strong! In May 2018, the Westport Woman’s Club (WWC) distributed $30,000 in grants to 25 local non-profit organizations, granted college scholarships to seven graduating SHS seniors and awarded a Ruegg Grant to Wakeman Town Farm for the purchase of an innovative mobile chicken coop that aids in soil fertilization. And that was just MAY! Joining this organization has been a rewarding way for me to give back to my town of Westport. The WWC!!! Organized in 1907, and still going strong! As my fellow active member, Gloria, stated above, this group of women work tirelessly to raise funds…to give away!!!! The Yankee Doodle Fair has always been our main source of raising money but, we cannot forget our “Curio Cottage”…which also supports us…This “Little-known-gem” of a store is located in front of our stately clubhouse…If you haven’t been there, check it out…You will find many great bargains! I also would be remiss (as co-chair) not to mention the WWC Food Closet, established in 1975…Our shelves ar stocked with non-perishable food items that are distributed to those in need. This service is in response to Human Services referrals. Thank you, Dan, for shining a light on such a historically significant organization that is right here in our backyards. Anybody who is civic minded and likes to make a difference in their community should come to our annual membership drive in September. Hello to the members who remember me. I so enjoyed being part of this organization. Dorothy…certainly remember you…and all the years you spent, tirelessly, selling raffle tickets at our Yankee Doodle Fair…You are missed…. The Westport Woman’s Club is a unique organization made up of wonderful, caring women who devote their time and efforts to helping others! Our fundraising events contribute to the many non-profit agencies in our area that help those in need. Our Food Closet provides meals year-round to families in Westport who need a helping hand. At Thanksgiving, Christmas and New Year’s, we donate thousands of dollars worth of gift cards from Stop & Shop so that these families can enjoy holiday meals. Our Scholarship Program provides monetary awards to graduating Staples High School students. All this is done with heartfelt generosity and concern for our neighbors. One hundred and eleven years of service to the community! I am proud to be a member! The first photo was taken at our house, where I grew up, in Owenoke. The woman sitting on the table is my mother, Ina Bradley. She had to perch very gingerly because our table had a flimsy plate glass top. That was just one bone of contention between the club members and the Life Magazine people/photographer who were “bossing them around.” Or so they thought. Later, Francesca Lodge, (wife of John Lodge, later Governor of Connecticut) was vociferously furious when the article was published, with no photo of her included, although she was present. I really don’t remember the names of the other women, sorry to say. 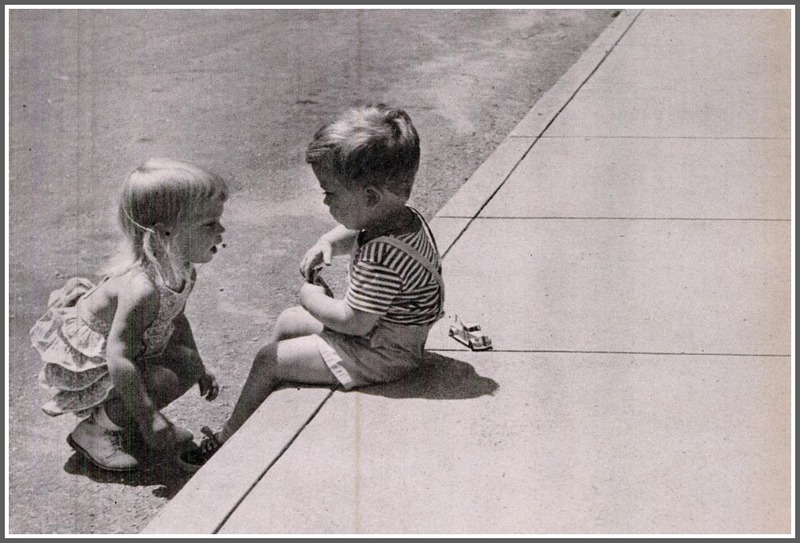 As for the last photo here, taken in downtown Westport so they could get the curb, — the little girl is my sister Deborah. I don’t know who the little boy was. Bonnie Bradley, I love your mother’s “stadium pumps”. The shoes were very popular for summer wear. I had a pair that were slightly different on the outer and inner surfaces. If I sat as you mother was in the photo, it would look like I had on two different shoes. I wonder if they’ll come back in style. Dresses from that time have. It was probably before his time, but Westporter George Silk was a prominent Life photographer. Gilbert & Sullivan wrote a total of fourteen operas. Many people only know of the “big three,” Mikado, Pirates of Penzance and HMS Pinafore. Featured will be selections from all of these operas. The performers, all professional singers, have appeared in many local productions as well as those in New York City. Tickets to this fundraising event are $30.00 if bought in advance, and $35.00 at the door. For tickets and/or information please go to our website, http://www.westportwomansclub.org, or call the Office at 203-227-4240. This event should be lots of fun, and I hope to see you there. Joyce, I agree that those shoes on my mother were really great – they could easily come back now – trendy retro! My mother was a pretty savvy dresser. She had a sort of lamb skin, curly fleece-side out, very soft, jacket lined with red felt which I wish I had today. Terrific. My mother was for many years chairman of the Westport Country Playhouse ticket subscription committee as a volunteer. On opening night for each play she would come out in front of the curtain to welcome the audience and say something about the play. She always dressed up for that event. And, over the years she met various Broadway and Hollywood stars backstage on opening night. Does anybody remember the “Tea Party On The Dump” sponsored by the WWC to celebrate the arrival of “sanitary landfill” to Jesup Green? Both of my grandmothers, WWC members, joined other civic minded women of the day to showcase beautiful lace tablecloths, fine china, haute couture tea party fashion complete with the subtle bouquet of disintegrating waste with just a hint of methane gas. The sarcastic nature of the event only added to the fun. 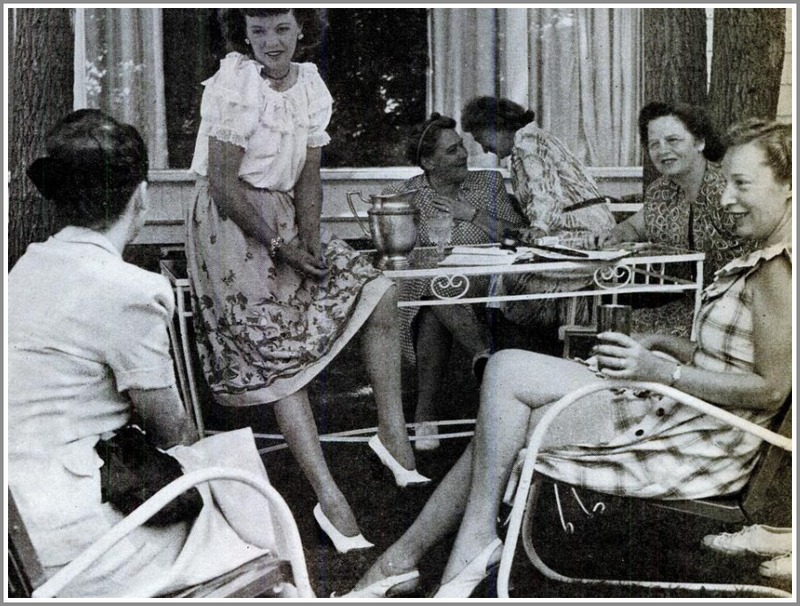 Long before the rise and fall of Martha Stewart the women of Westport exemplified impeccable taste. When they went low, the WWC went high. I believe Amy Vanderbilt was part of that tea party! And I also remember playing Little League baseball at the field next to the dump (approximately where the library is now). It smelled like — well, a dump — and there were seagulls everywhere. We used to summer in midcoastal Maine when I was really little like in 1952-’56. The officially sanctioned town “dump” was low tide. No garbage trucks. Everybody backed their station wagons down to the water’s edge and let ‘er rip. The picture on the rocks features my grandparents house!